Worldwide colour authority Pantone has once again made its influential Colour of the Year prediction for the months ahead, with Rose Quartz and Serenity being chosen as the favoured shades for 2016. 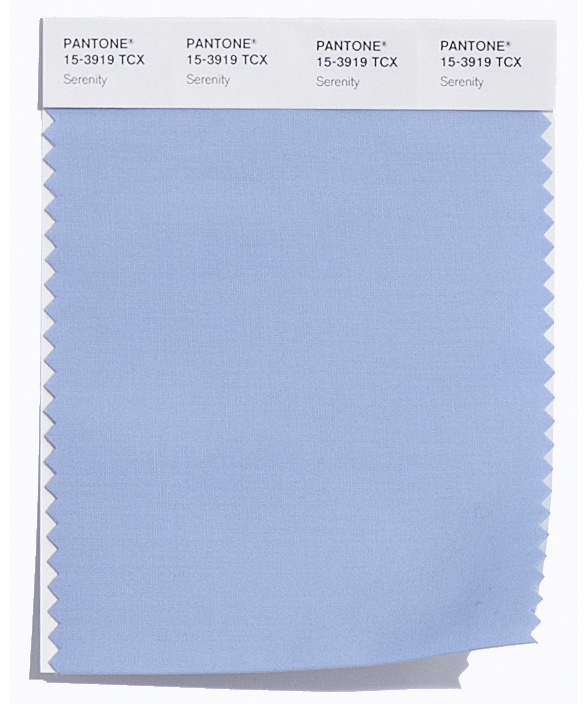 As The LuxPad explored when the announcement was first released, this year Pantone has taken an unprecedented step in choosing not one – but two complementary colours for the upcoming year. Why two? Their choices reflect a ‘colour snapshot of what we see taking place in our culture at a particular moment in time’. 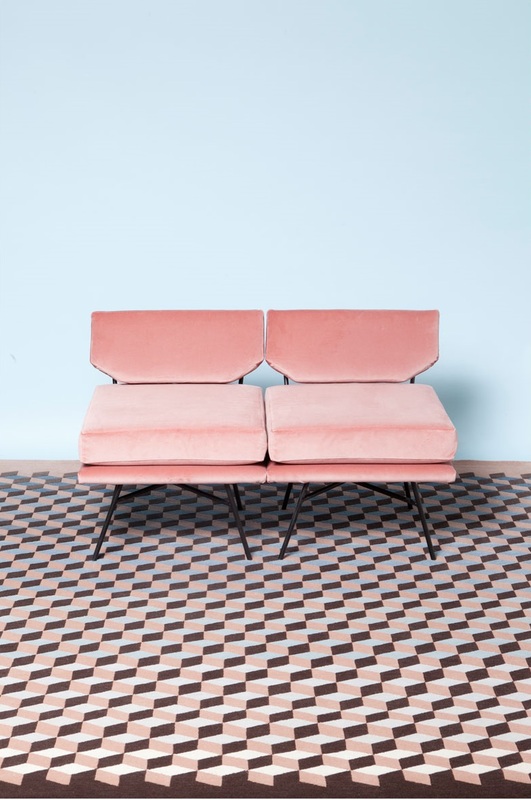 Rose Quartz and Serenity provide a welcome ‘contrast to the current restless and hectic lives people are living right now’, Pantone explains. 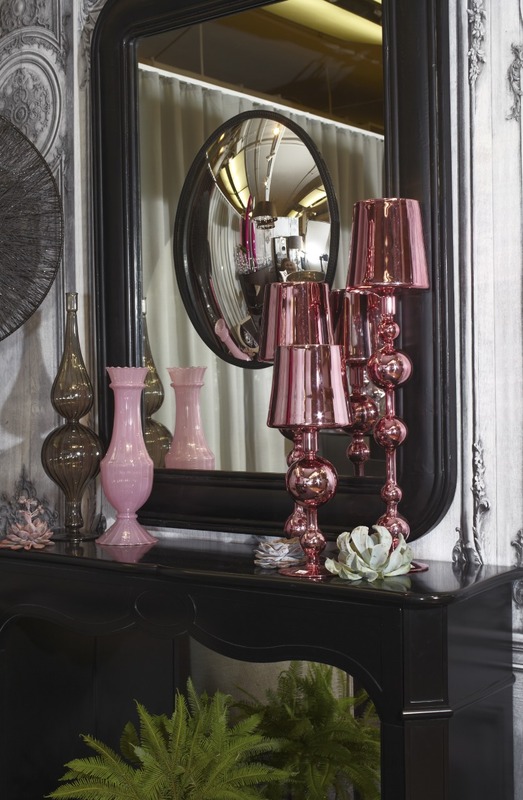 After last year’s Colour of the Year – the dark and earthy Marsala – Rose Quartz and Serenity are a refreshing change. Evoking a sense of calmness, fluidity and balance, the fusion of these shades provide the perfect antidote to busy modern life. 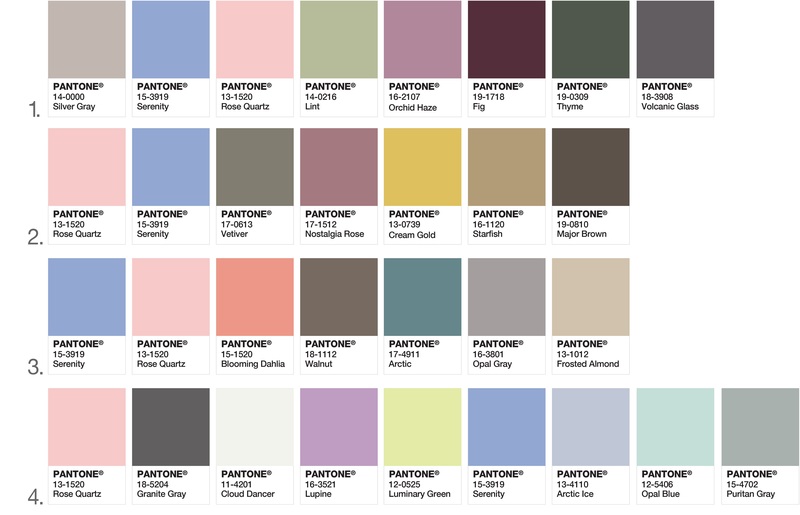 Such is the power of the Pantone announcement, that it won’t be long before we see Rose Quartz and Serenity trickle into our daily lives. 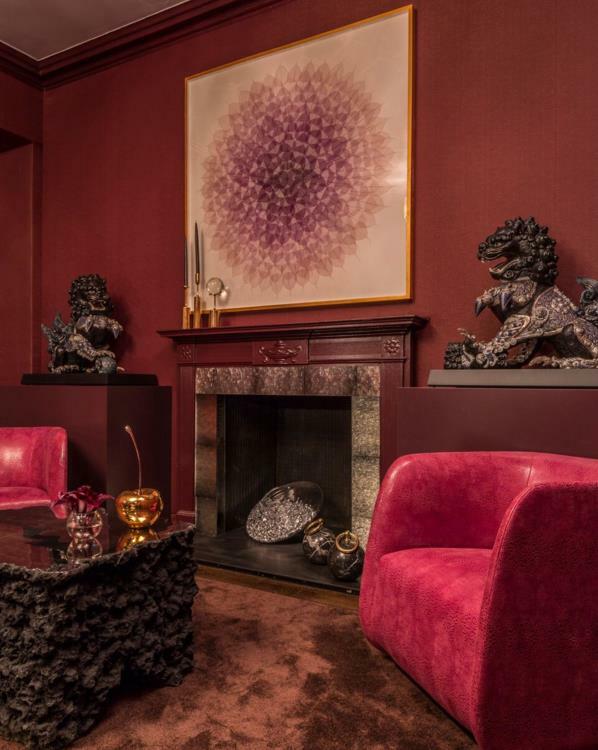 The colours are set to take centre stage within fashion, beauty, fragrance and home interiors in 2016. 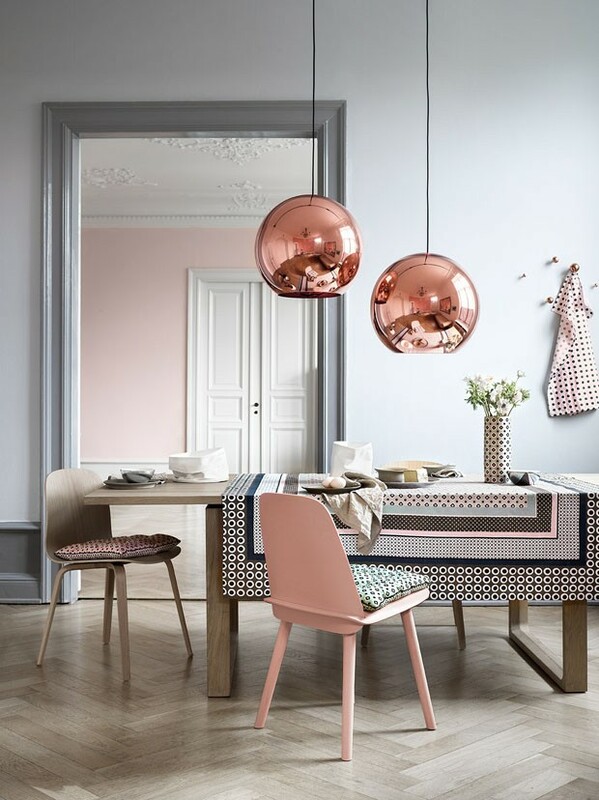 A beautifully versatile duo, Pantone has suggested a combination of colour palettes to help you incorporate Rose Quartz and Serenity into your interior decorating. 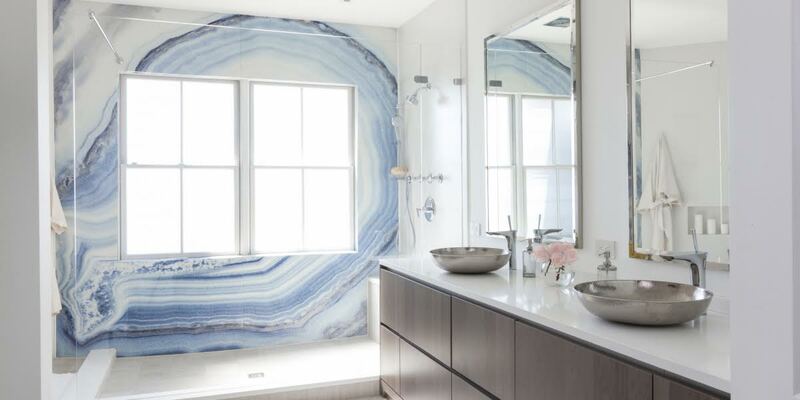 Use shades of Serenity to create an ethereal finish to a modern bathroom, introduce Rose Quartz to soften a bedroom, or simply accessorize using Rose Quartz and Serenity to add subtle nods to next year’s hottest interior trend. Pantone’s Colours of the Year, Rose Quartz and Serenity, are both strong and impactful yet soothing. Both colours evoke a sense of tranquillity and nostalgia, however both of these colours can be surprisingly sophisticated and modern when used correctly. 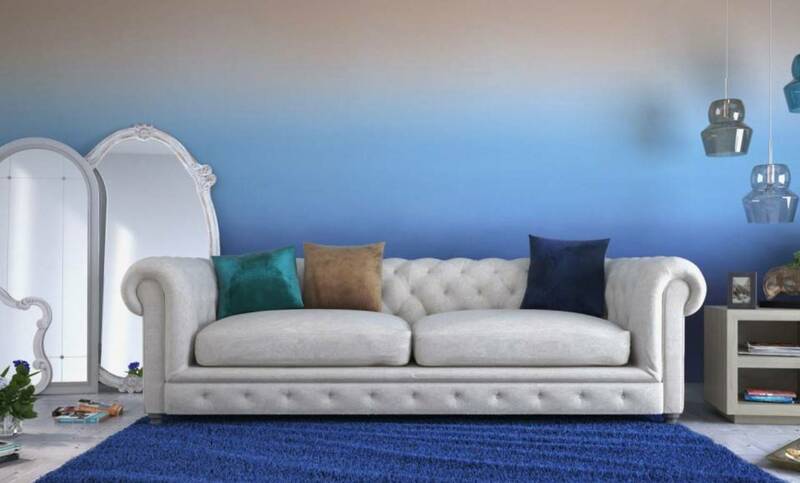 Let one colour take the lead and allow the other to act as an accent to create a serene but striking balance. The two new colour/s of the year from Pantone of Rose Quartz and Serenity are an unusual choice for an interior designer, a combination usually associated only with the décor of infants bedrooms. However, occasionally we are asked to produce a finish in the ‘baby’ colours of pale pink and blue, normally as an effect in a bathroom. These colours can look fantastic mixed with all white décor, particularly in a sunny climate. The two finishes (seen above) from specialist suppliers ‘Granite Exchange‘ could be used as splash-backs above a wash basin or bath, or combined as mosaic tiles in a pool house. Large slabs can also be used for kitchen work tops and surfaces. The key is to keep these colours either in one strong dramatic feature, or for small details. 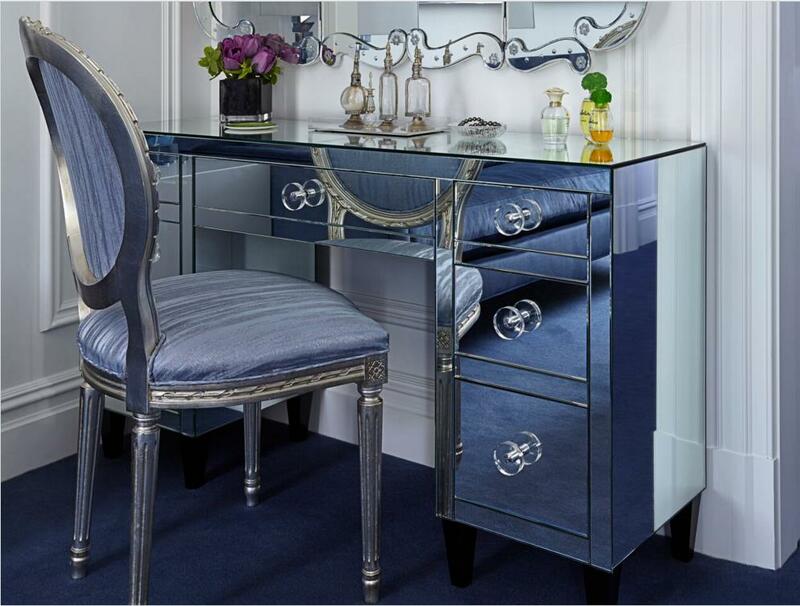 Rose Quartz and Serenity embody tranquillity and synergy, something we’d all love in our homes. 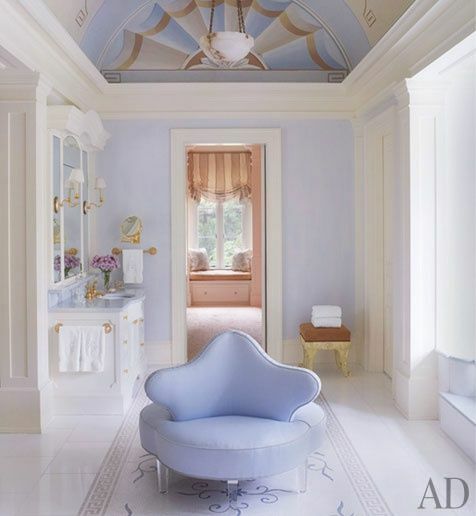 Although blue and pink are oft associated with cottage interiors or children’s bedrooms, these hues have more progressive aspirations to bring that same aura of calm to the contemporary end of the interior design spectrum. Harness the qualities of Pantone’s Colour of the Year and inject some unique design personality into your home; combine with white, light and/or dark grey and parchment, textiles and wall coverings in graphic patterns and for contrast and definition, deeper shades of brick and navy with brass lighting for a designer twist. 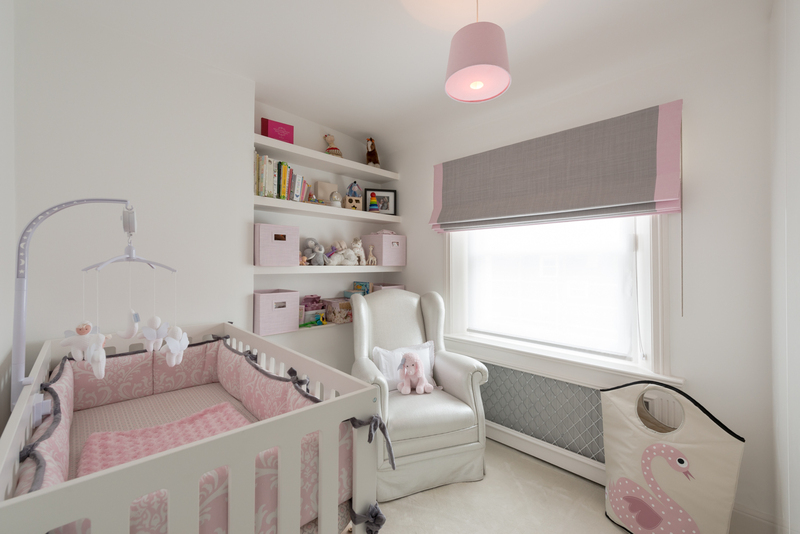 We used Rose Quartz and Serenity in the soft furnishings – curtains and throw – to add a feminine and soothing ambiance to the nursery. 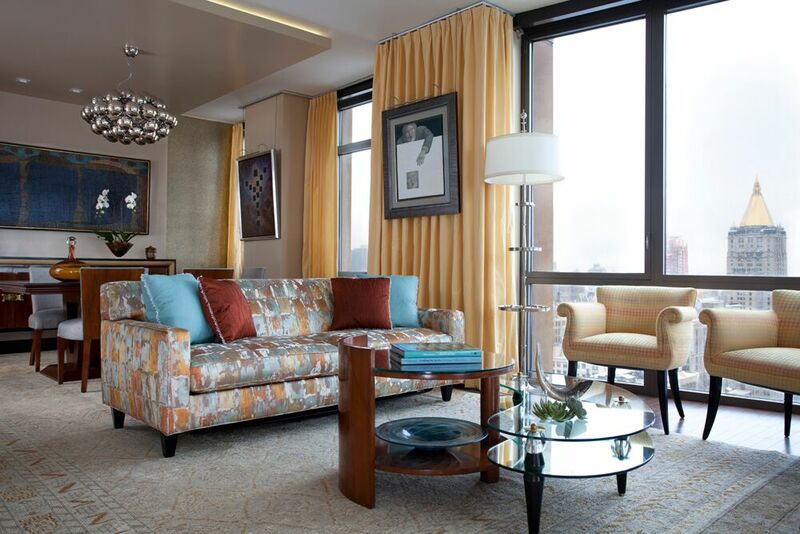 Casa Forma believes in timeless design and we feel that adding colour in accents is the best way to create a timeless interior design scheme that is versatile and long lasting. 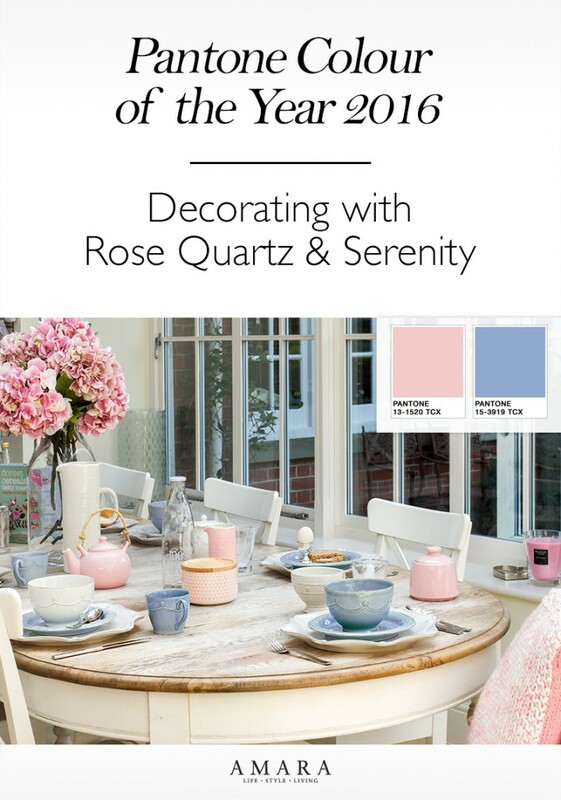 We’re so pleased to see the pairing of Rose Quartz and Serenity for Pantone’s choice for 2016. Not only do these peaceful pastels complement each other perfectly, but they balance bold tones and neutral hues just as easily. 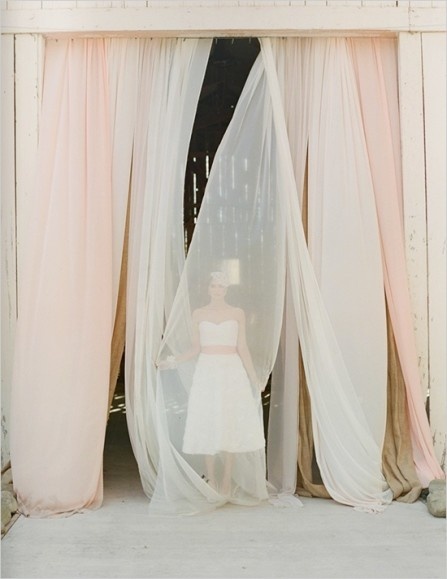 To curate a look using Rose Quartz and Serenity, anchor the pairing with muslin or sandy brown, olive, and fig. Use Rose Quartz and Serenity on statement pieces like arm chairs and wall art and complement it with darker splashes of colour on accessories and area rugs. For the first time, the blending of two colours, Rose Quartz and Serenity, has been chosen as Pantone Colour of the Year. 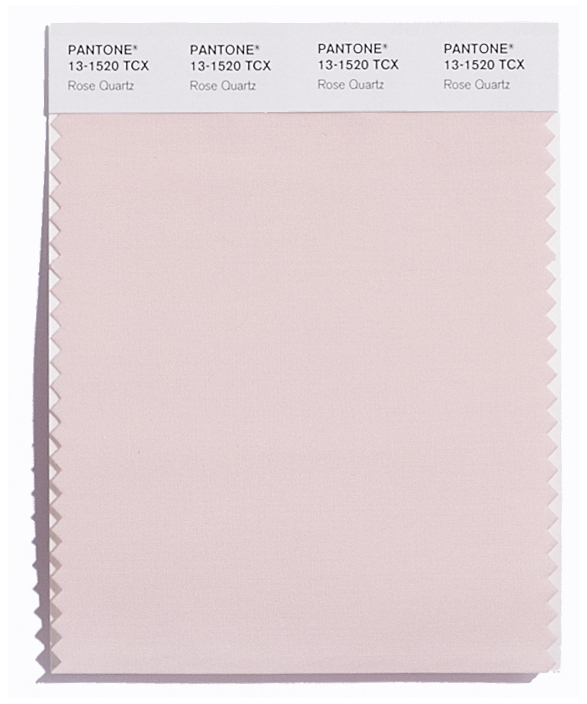 These soft shades are individually soothing and calming, perfect for bedrooms, bathrooms or even for studies. The warmth of the blush combined with the tranquility of the blue have an other-worldly beauty. Used together, the effect is sublime, and our design team has already been inspired to create spectacular schemes based on these shades. 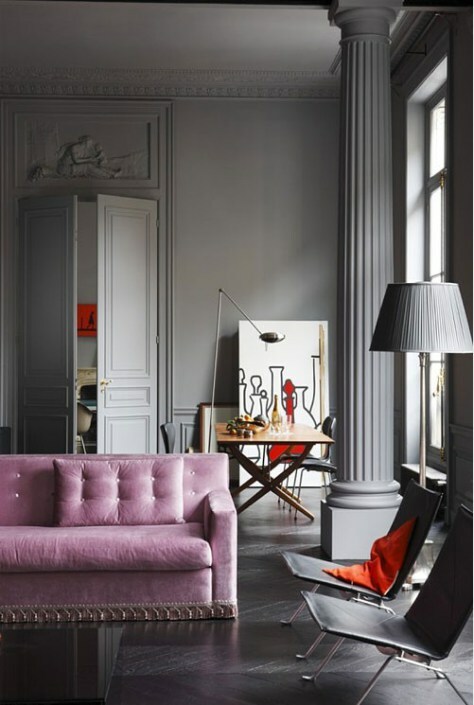 You can add a delicate eclecticism to the room by painting furniture in both these colours and others from the palette. 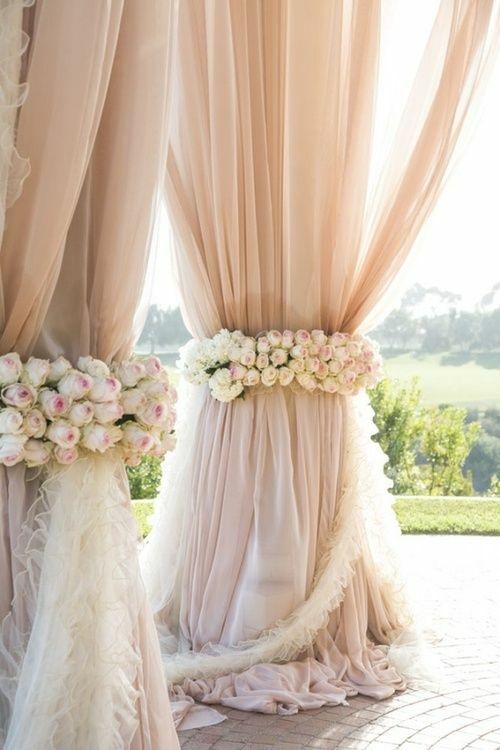 Or for a subtler fusion add rose quartz and serenity through accessories such as photo frames and candle holders. 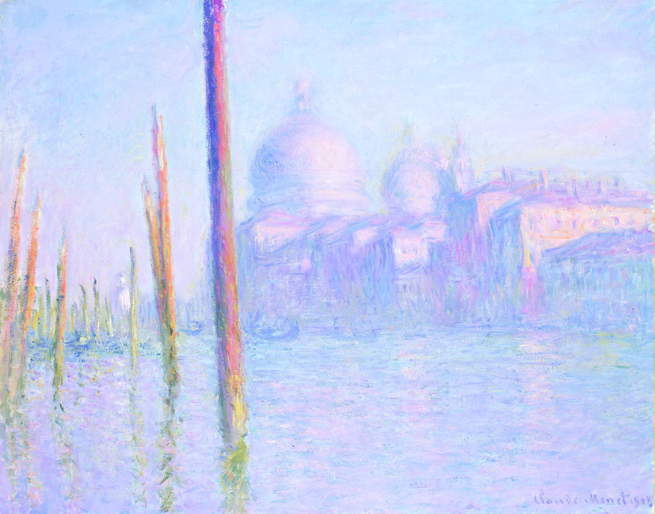 However, when using the colour avoid bright acid tones as the contrast is too harsh. 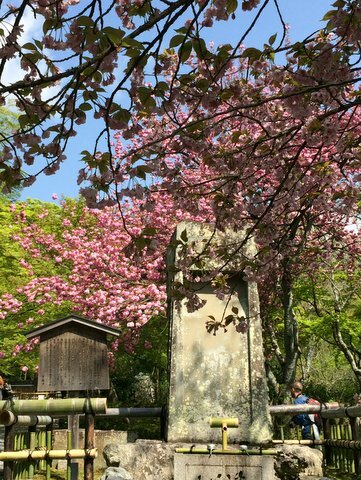 This year’s Pantone Colour of the Year, Rose Quartz and Serenity, are taken directly from nature as expressed in this photo I took on a recent trip to Japan for Cherry Blossom season. When designing a home I am always informed by the natural order of things. The sky and flowers create the promise of spring and new beginnings. 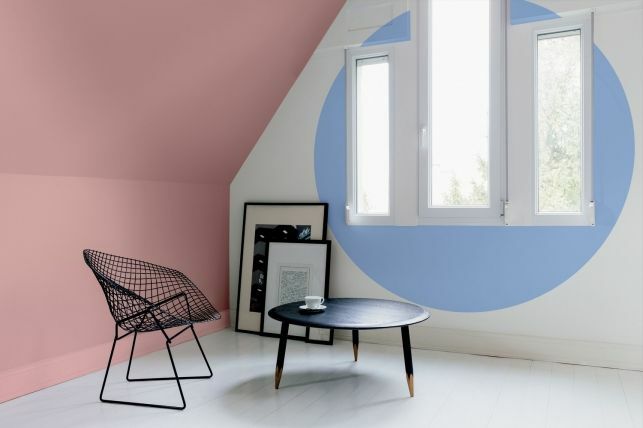 With the popularity of ombre effect walls, Pantone’s Colour of the Year Rose Quartz and Serenity is the perfect combination to create this on-trend paint finish. 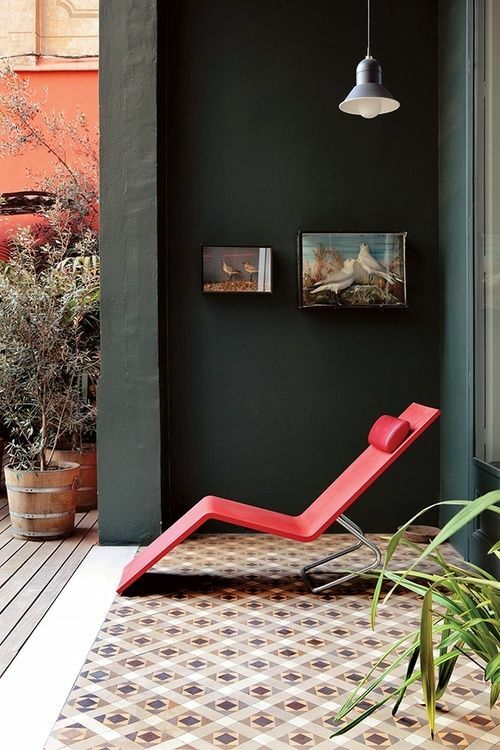 I love blending colours on walls, starting with the lightest on top, gradually melting with a darker hue at the bottom. Always gives a beautiful result of light and space to a room. This contemporary look creates a dreamy, peaceful and relaxing atmosphere, which works extremely well and adds interest to any room, along with an injection of bright coloured cushions, a bold sofa and a rug that complements the walls, you are ready and set for the year ahead! 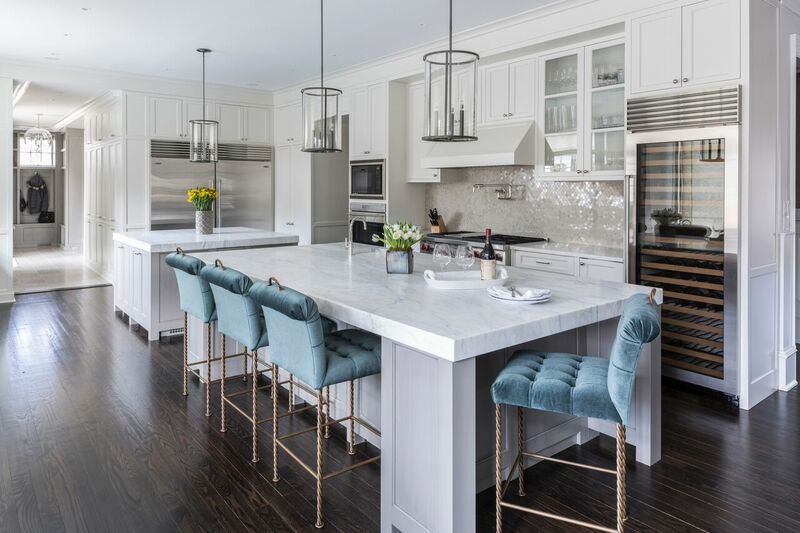 On the left, lustrous velvet in Serenity adds softness to an all-white kitchen. Designers Marks & Frantz used it on striking custom bar stools of their own design. 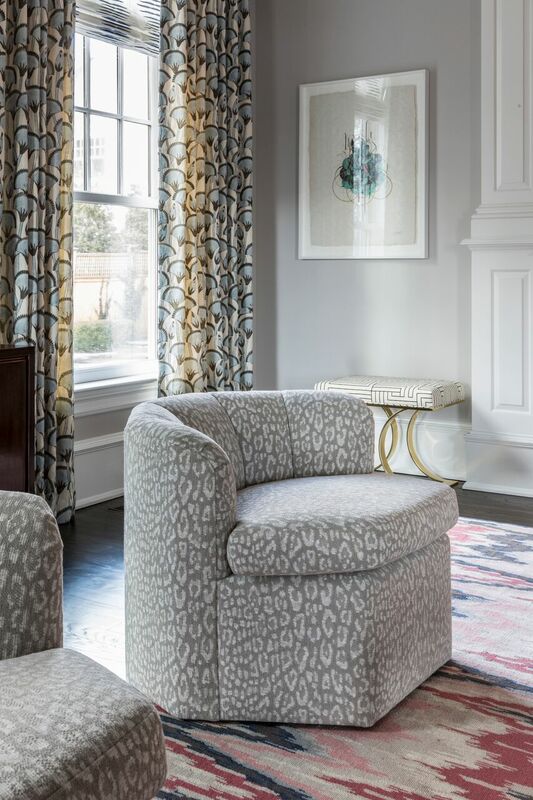 Next, Serenity and Rose Quartz are used in a flame stitch patterned rug by JD Staron, Serenity mixed with soft grey in drapery fabric by Katie Leede for Holland & Sherry add soft colour to this family room by Marks & Frantz Design. 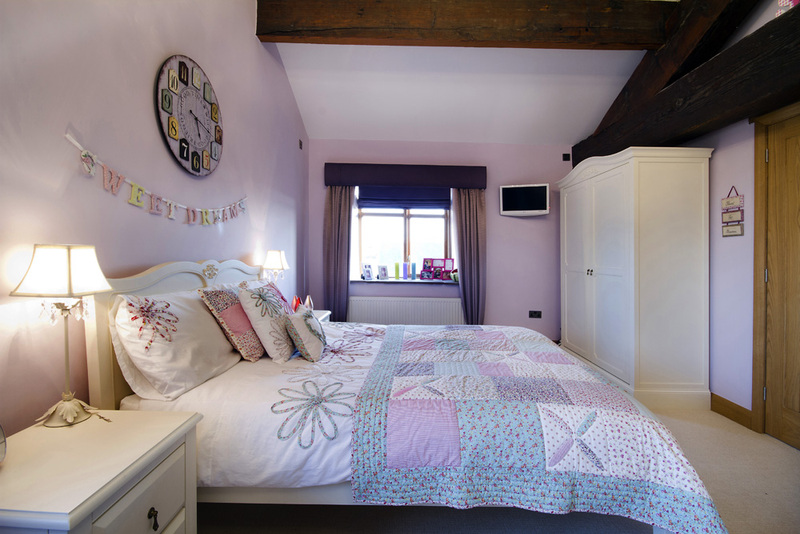 How lovely are these two colours and we think they are just perfect for a little girl’s bedroom. 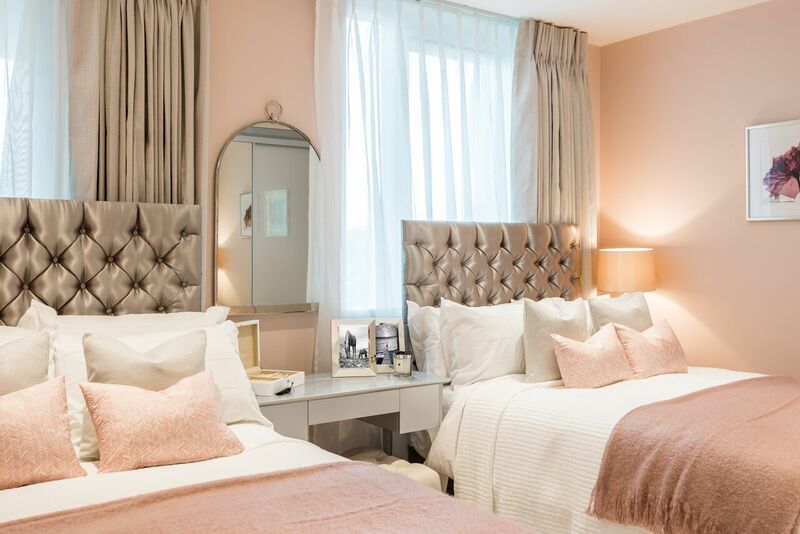 We have recently used the Rose Quartz colour on the walls of a scheme and then brought in the Serenity colour with the accessories. 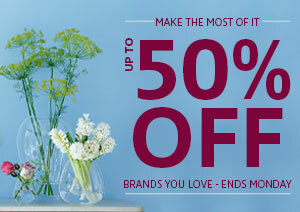 Timeless colours which work great with off white and most greys but especially a strong dark grey. 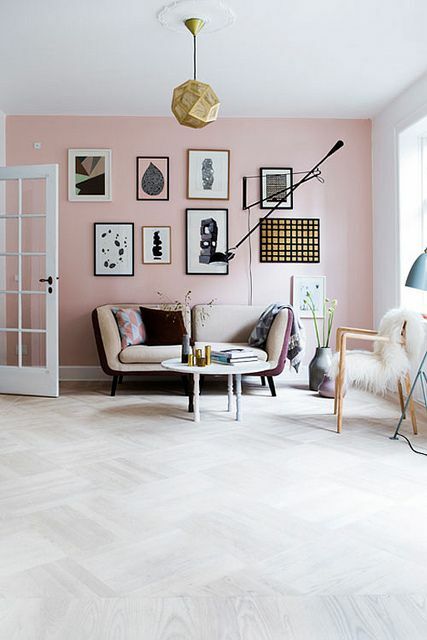 It may be a challenge to associate the two Pantone colours of the year Serenity and Rose Quartz together in the same room, and I must admit I have a strong favourite: Rose Quartz. This is a delicate pink which is lovely associated with greys, whites and copper. It looks very sophisticated in a bedroom scheme paired with mirrored furniture and textured fabrics but can also work in other rooms. Parents of boy and girl twins will be very much en-vogue with their baby room décor according to Pantone Colour of the Year choice of Rose Quartz and Serenity for 2016. 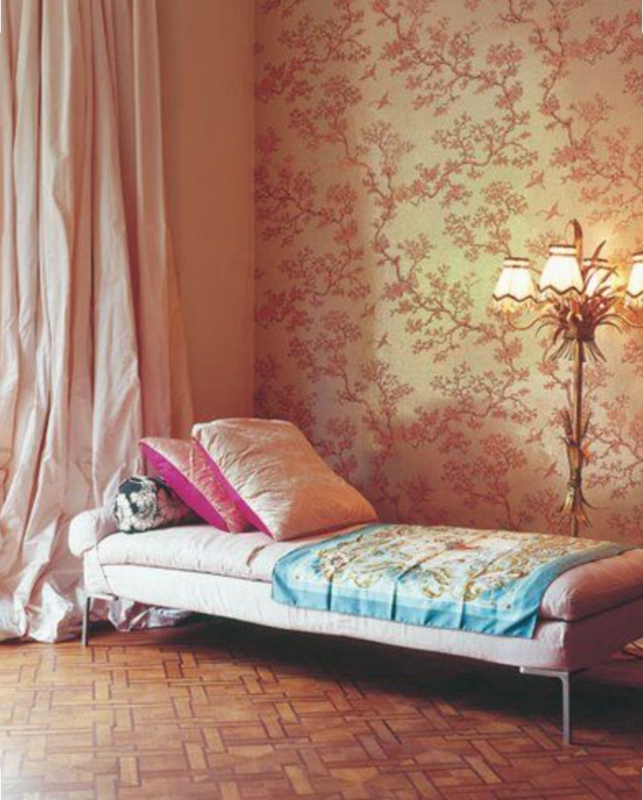 Serenity is an easy colour to live with and can be used throughout the home in any room. 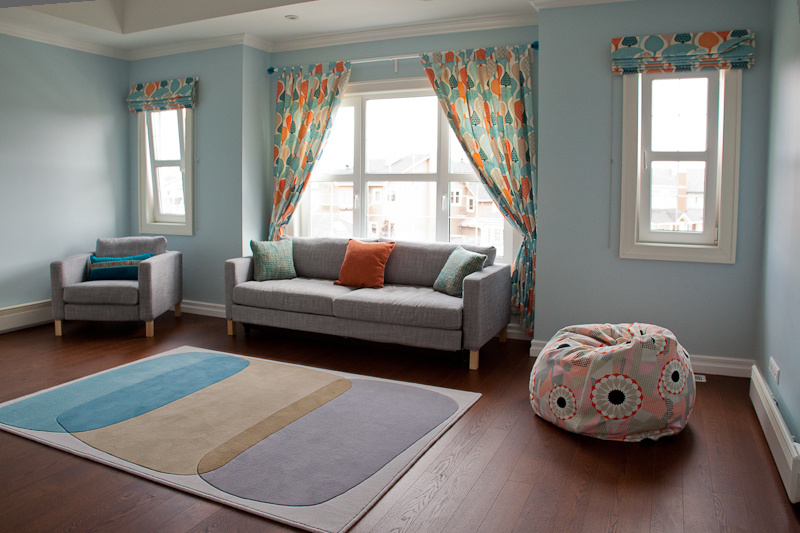 For example it can be used in a gender-neutral playroom/dayroom such as this one by pairing it up with deeper tones of blue and splashes of orange. 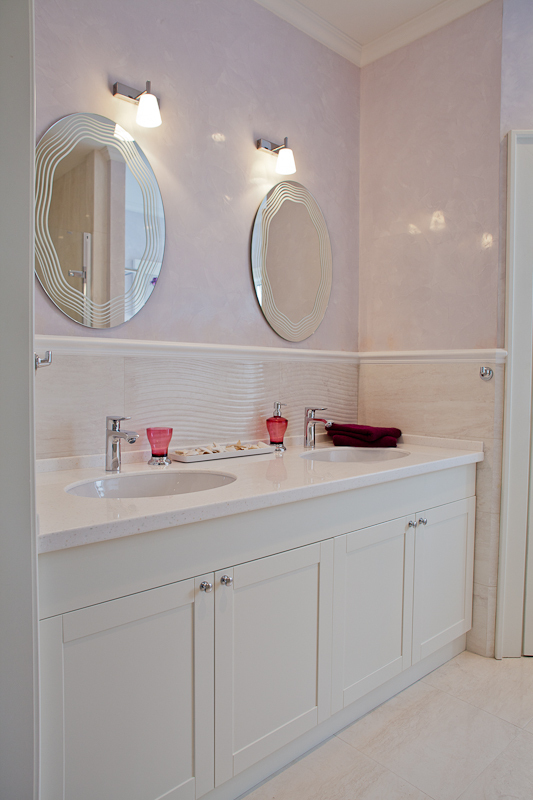 Rose Quartz can also look luxurious in a room, such as in this bathroom where a soft rose tinted polished plaster has been used above the tile. 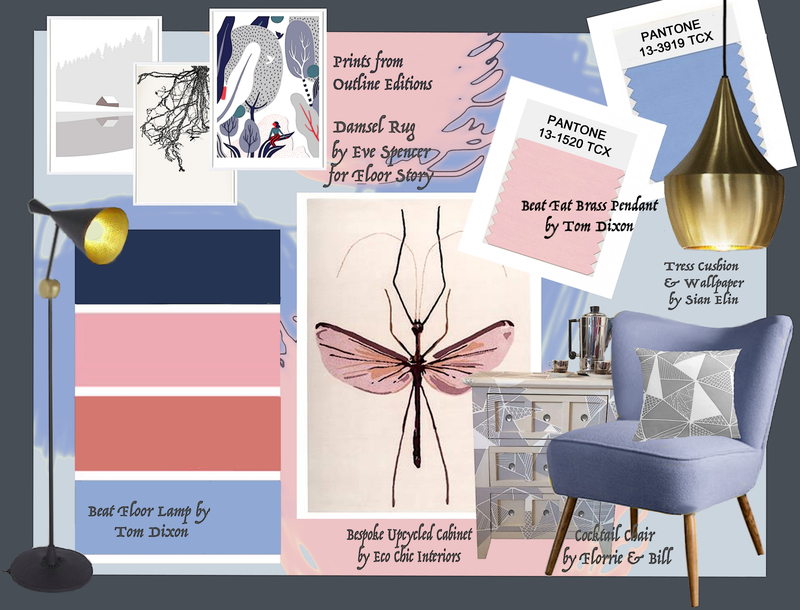 The Pantone Colour of the Year 2016 Rose Quartz and Serenity goes hand in hand with the current ‘Pastels’ trend that we are seeing throughout fashion and home interiors. We have seen a lot of light pinks, blues and light mint green on the catwalks of fashion designers such as Tom Ford and Prada. 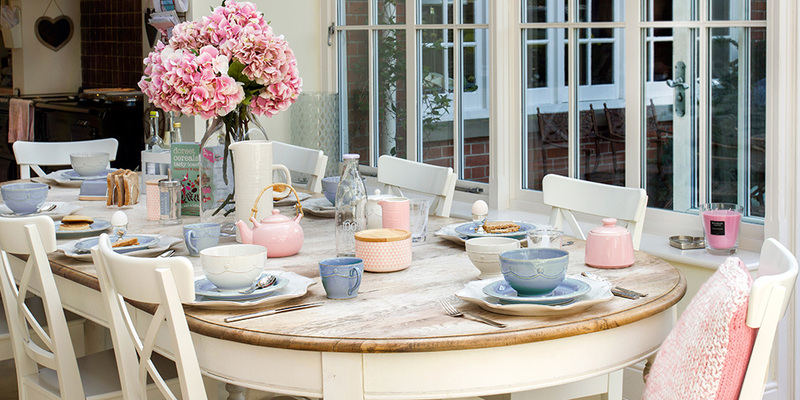 These colours evoke a feel of happiness and comfort with a touch of ‘girlyness’. The colour combination of Rose Quartz and Serenity bring about similar feelings. 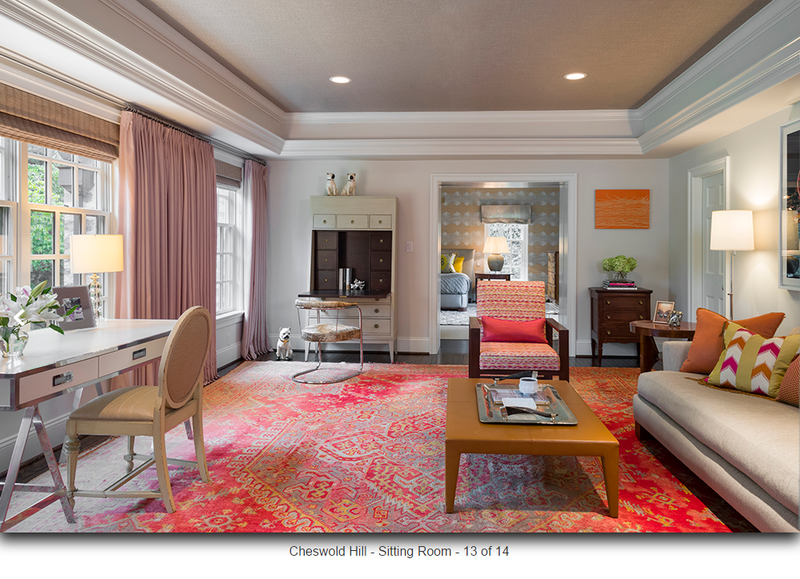 Both hues have very calming and soothing qualities and make for a good start into the New Year. I think Rose Quartz and Serenity are quite hard colours to use without making the interior look too much like a ice cream parlour or overly girly. 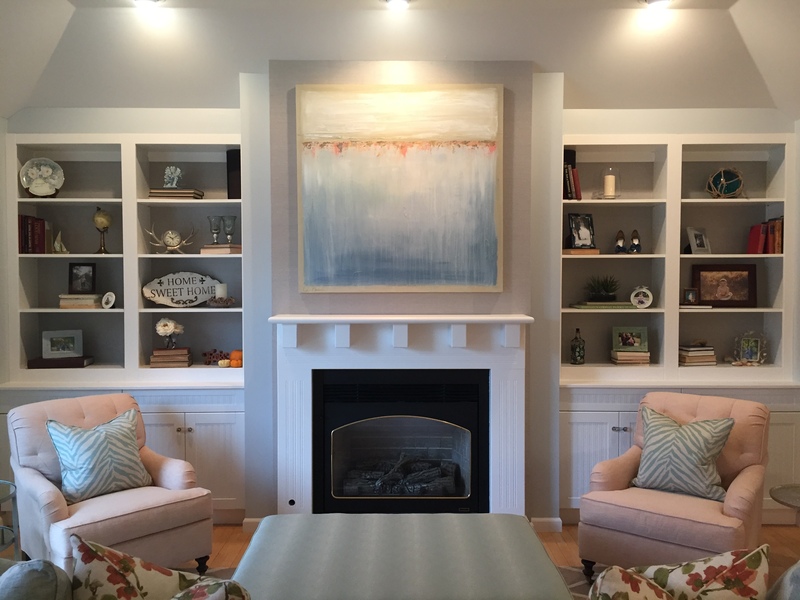 We hope you enjoy our collection of inspirational ideas on how to incorporate Rose Quartz and Serenity into your home decorating. 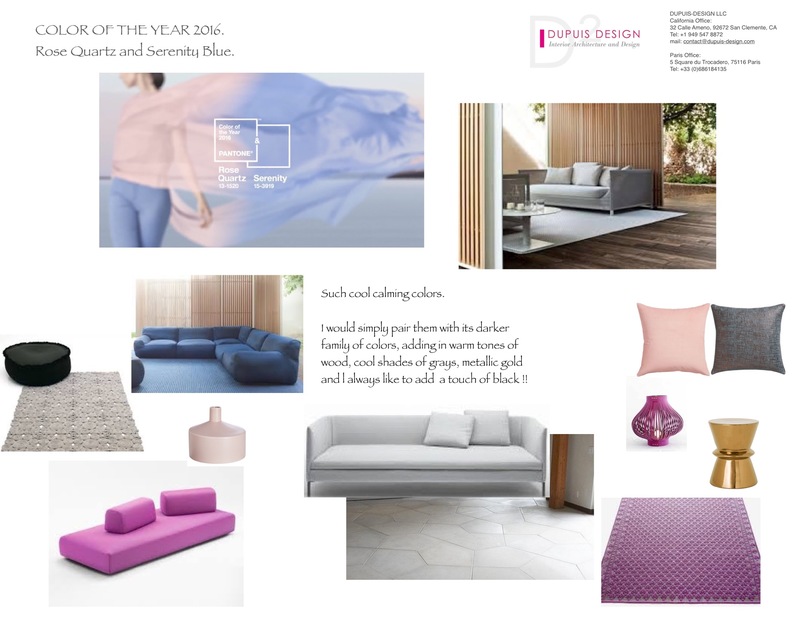 Explore Amara’s dedicated Pantone Colour of the Year 2016 Pinterest board for more beautiful colour combinations. Thanks Freddie for this amazing post.